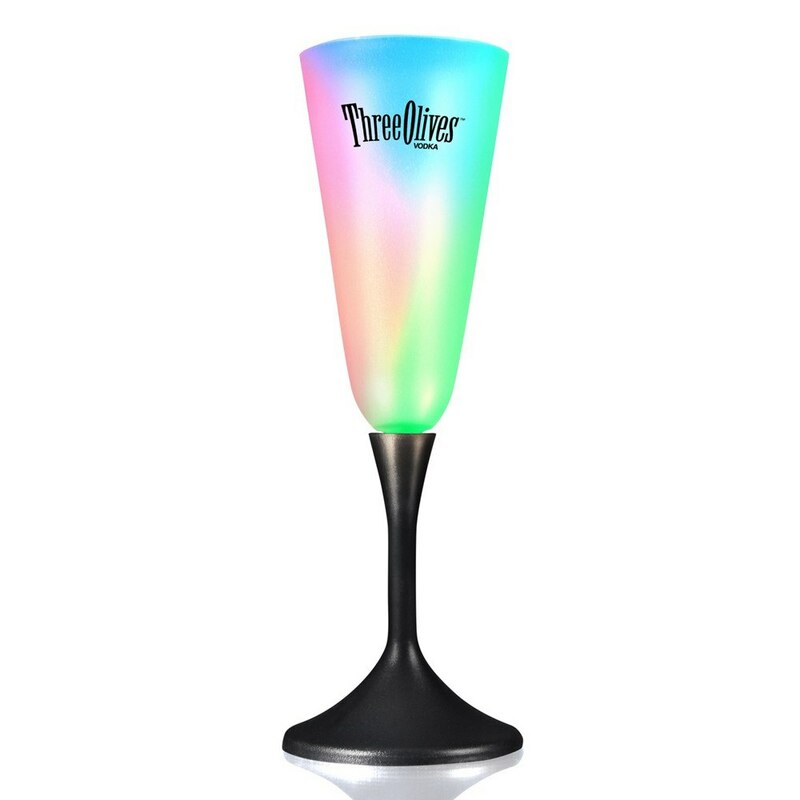 Our Frosted LED Champagne Glass features a beautiful black base and lights up with the press the button. Imprint area (WxH): 1.5" x 1.25"
This Frosted LED Champagne Glass features a beautiful black base and makes the perfect addition to your black dress cocktail crowd. To activate your champagne light glass, press the button on the base. It features steady light and a slow color change function. The glass requires some assembly. Give away the champagne glass at any event or party of your choice to make your brand name omnipresent.